James Brown: Godfather of Soul and King of Funk. Welcome, once again, to SampleRadar - prepare to receive your weekly dose of royalty-free audio excellence. 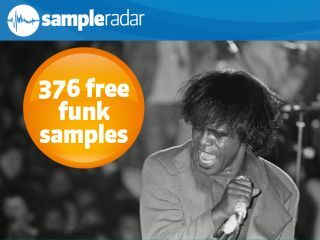 This week, we've got a brand new bag of funk samples that are guaranteed to leave you in a cold sweat. Put some of these in your tunes and the roof of the sucker will be well and truly torn off. The samples are split into five folders. Four of these are labelled according to their tempo and contain instrument sounds, while the fifth is filled with beats. The funk samples are supplied in a zip file, so you'll need to extract them before you can see them. Enjoy!